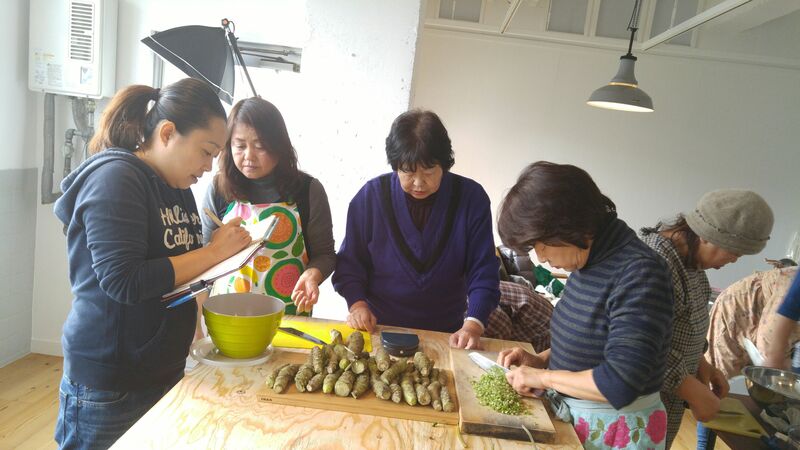 Home-made Wasabi Zuke with Asami Itoh of Marufuku Tea Factory in Shizuoka Ciy! 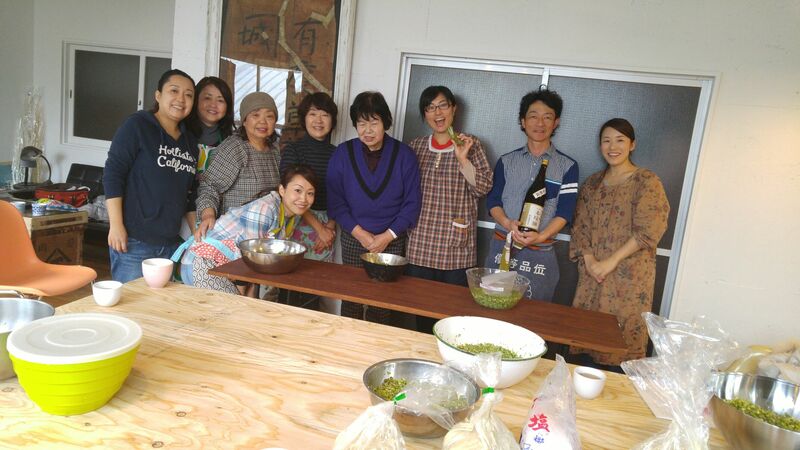 The other day my good friend, Miss Asami Ittoh invited me in the company of 7 more guests to make wasabi zuke according to traditional recipe at her company, Marufuku Tea factory Co. Ltd in Shizuoka City! 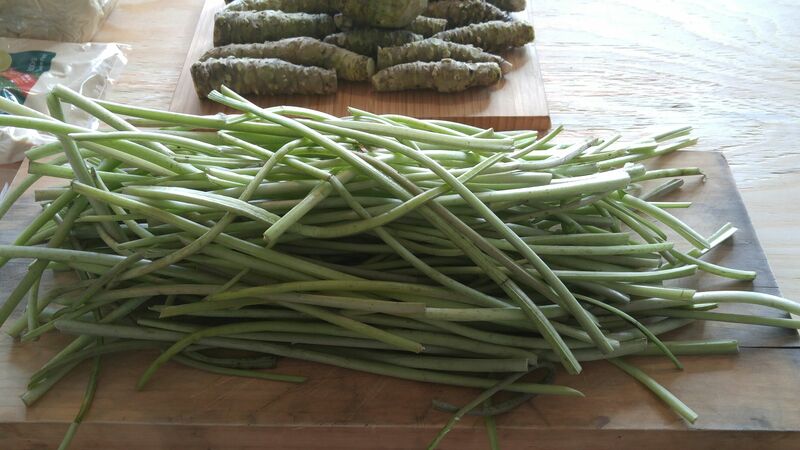 Wasabi zuke literally means “pickled wasabi” and it is a typical agricultural product of Shizuoka Prefecture, and particularly Shizuoka City, the birthplace of wasabi in Japan! 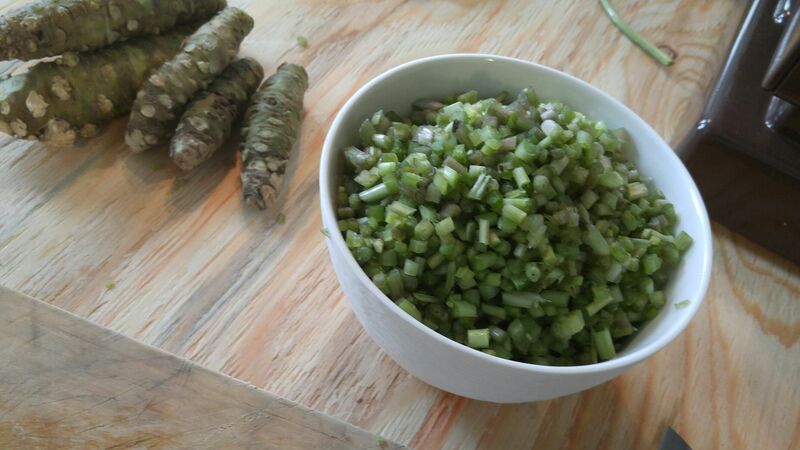 Wasabi Zuke might be common in Shizuoka but I can assure you it is a rare and expensive delicacy away from our region! 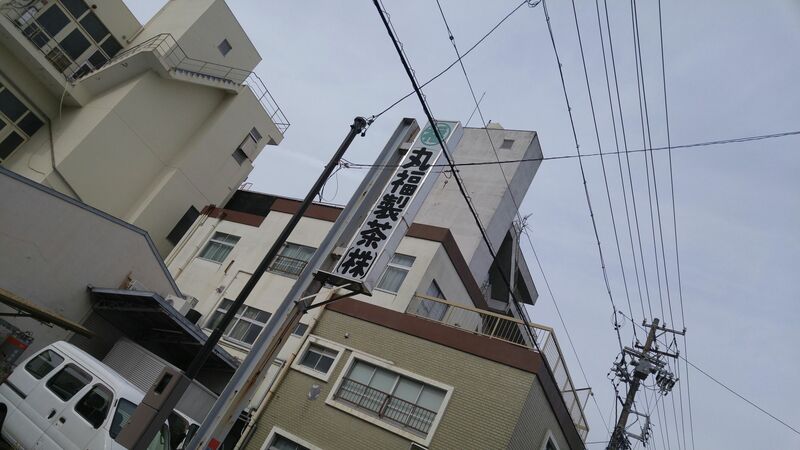 Maruku Tea factory in Aoi Ku, Shizuoka City! 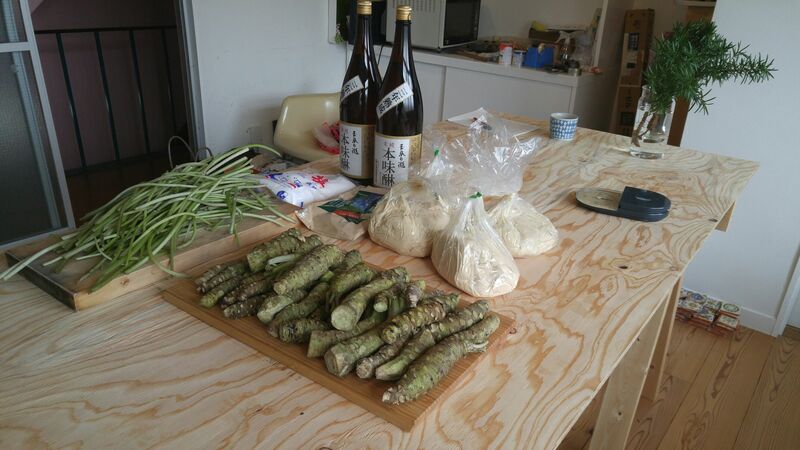 For that particular session all products were either from Shizuoka or made in Japan! 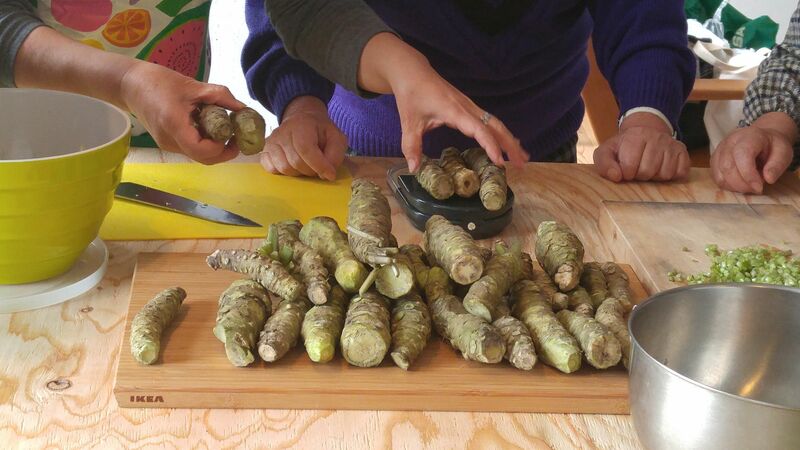 The fresh wasabi roots and stems were cultivated in the mountains along the Abe River in Shizuoka City, the sake kasu/sake white lees came from directly from a sake brewery in Shizuoka Prefecture. 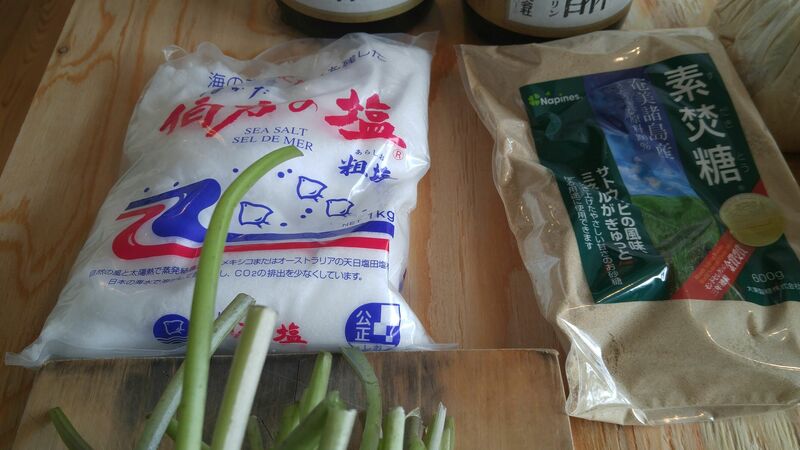 The salt, brown cane sugar and the mirin/sweet sake were all made in Japan! 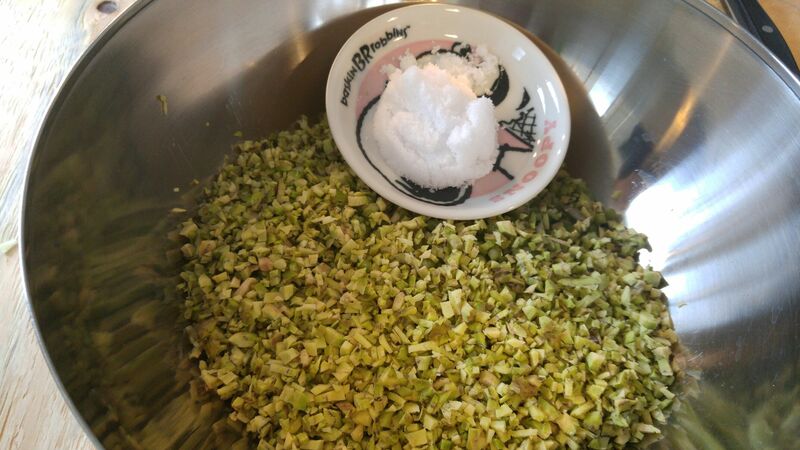 The wasabi and the sake kasu/sake white lees! All the ingredients for 8 people! 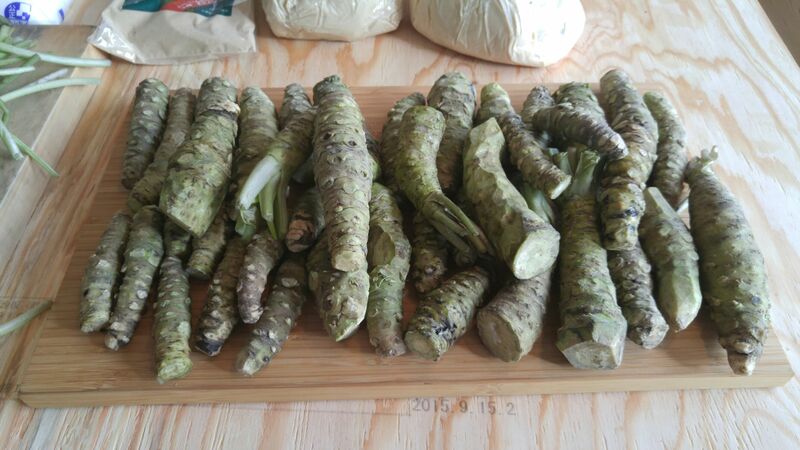 Fresh and clean wasabi roots. They were of very good quality but cheaper (by Shizuoka standards) due to their inferior shape! 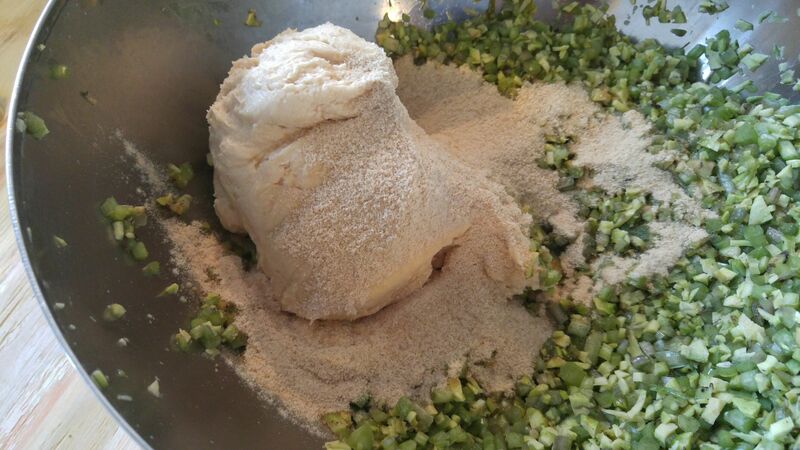 Unprocessed sea salt and top class sugar cane sugar! 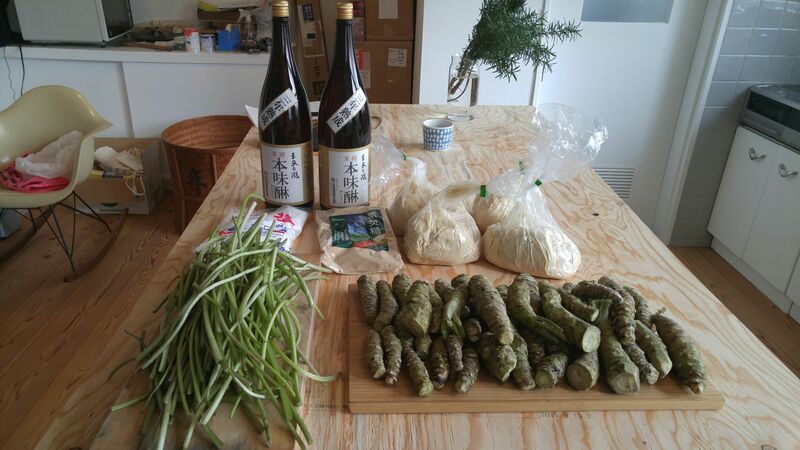 All the ingredients with the sake kasu (softened) included. Making sure that everybody understood the proportions! 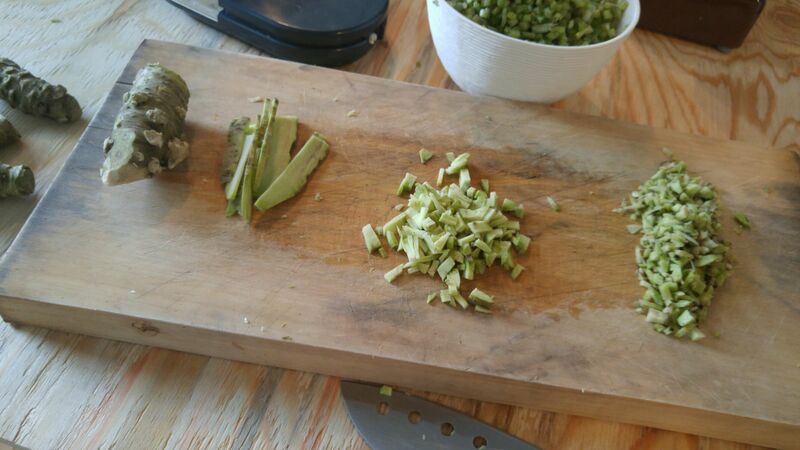 First chopping the wasabi stems! 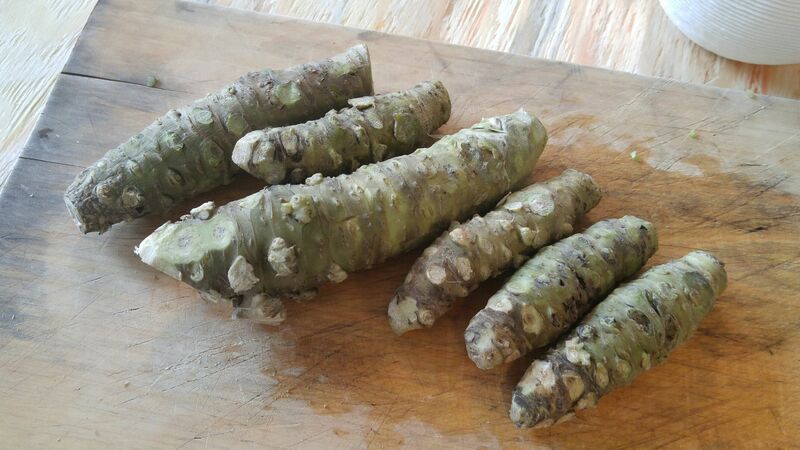 My share of wasabi roots! 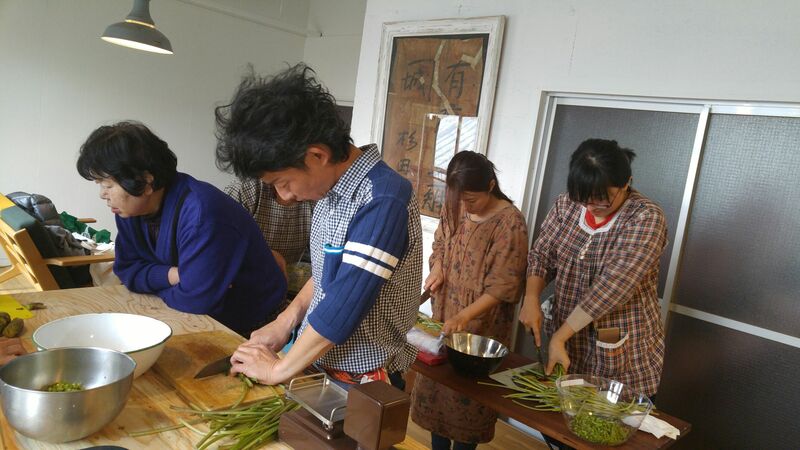 We were soon all in tears chopping away the wasabi roots! 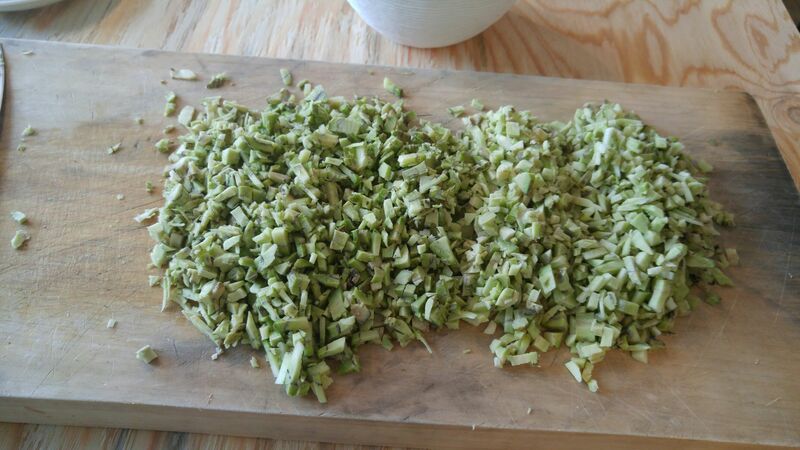 The roots have to hand-chopped finely to obtain maximum piquancy! A machine would not do a good job, it is all slow food! 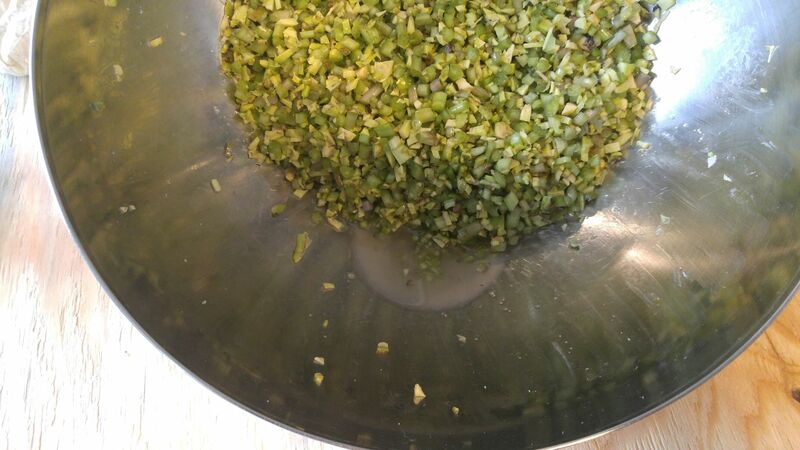 Mixing the chopped stems and roots, adding the salt, mix well and lest rest for 20 minutes! 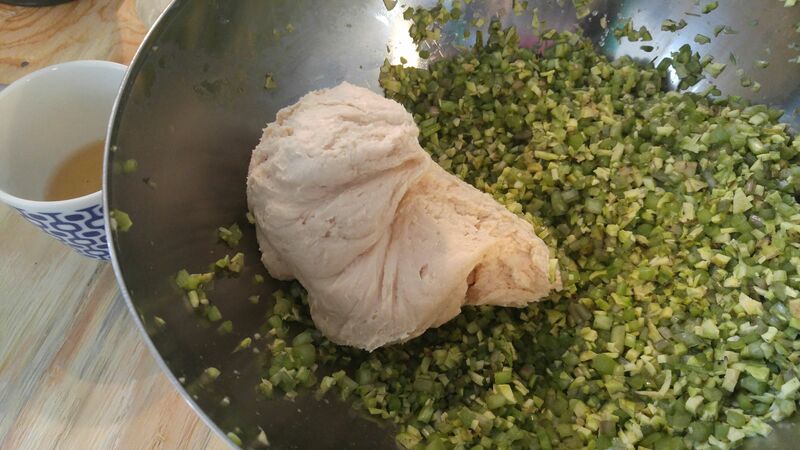 Pressing out by hand as much of the excess water as possible! 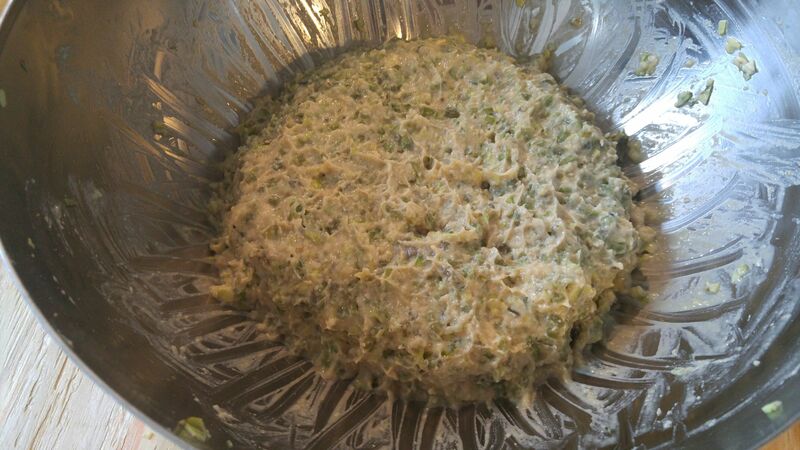 Softened sake kasu/sake white lees! 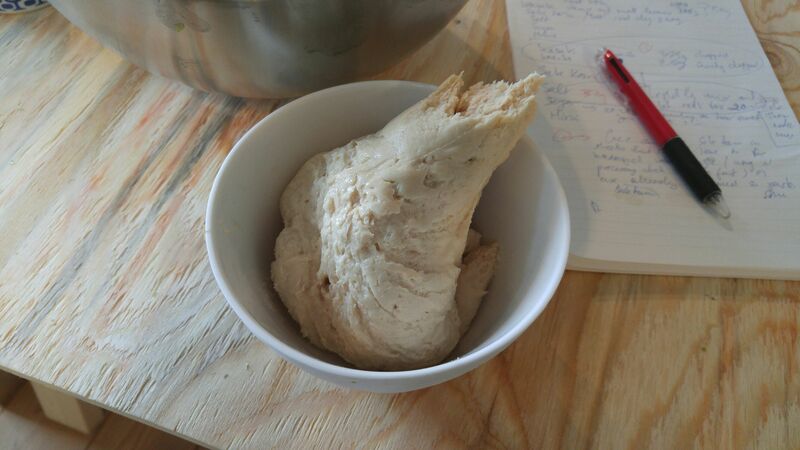 If you use unprocessed sake kasu, you will have to soften it by kneading it or user a beater! 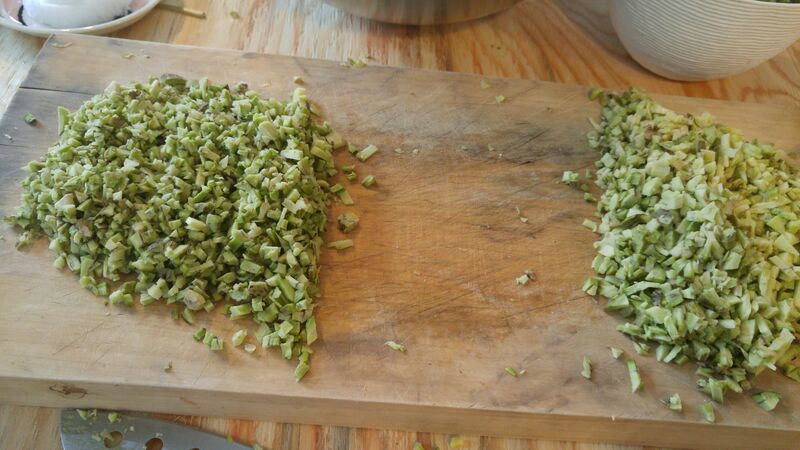 Mixing the whole by hand until you obtain a smooth paste! 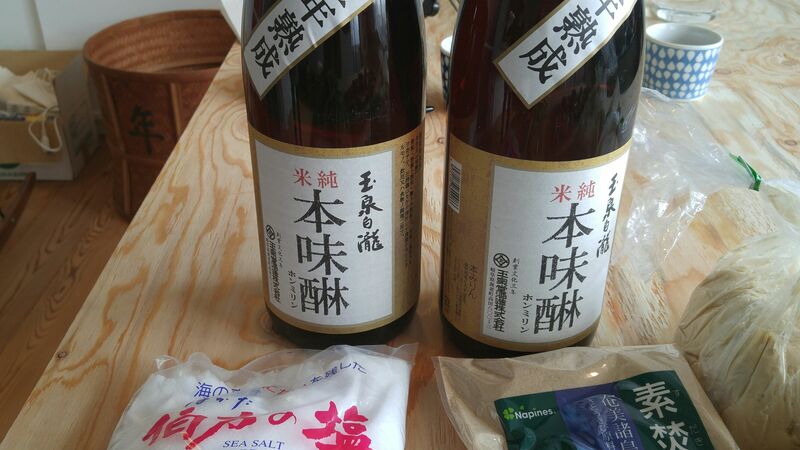 Taste and add mirin/sweet sake if necessary! Filling small boxes to take back home! We had 1.2 kg of it each! 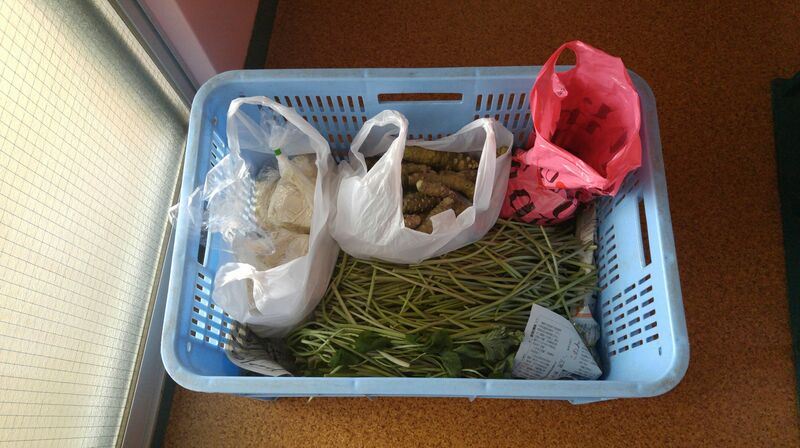 Note that is greener than the comparatively cheap variety you will find in shops downtown! I dare not imagine the price even in Shizuoka! 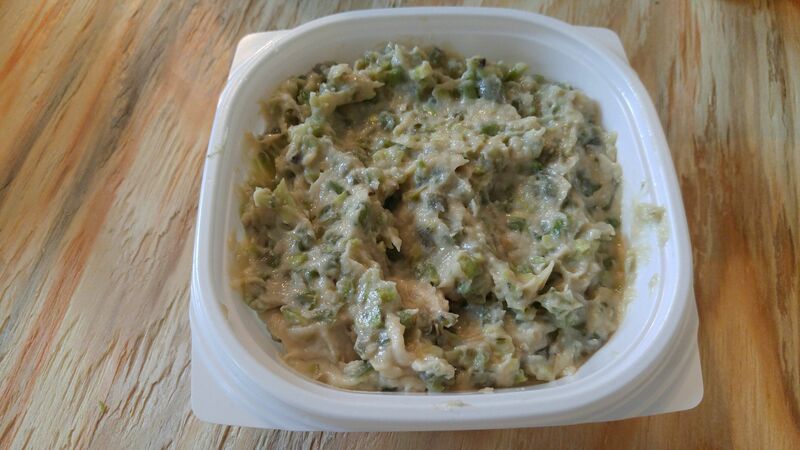 To be eaten over freshly steamed white rice, with baked poultry, sausages and even hot on toasts!